Erisa began her love of music when she was 7-years-old. She had one lesson and hasn’t stopped playing guitar since. She is a solo fingerstyle guitarist and singer, and has taught herself almost everything she knows. During the summer months, Erisa has her own solo gig at King Kone, a well-known ice cream shop where she packs an audience. Erisa has at least a hundred songs memorized, so there is no need for her to follow lyrics or sheet music. She loves to try and master other artists’ techniques and put her own style on it. Erisa is in love with her big guitar — an Emerald X30 featuring a beautiful quilted maple wood veneer and vintage amber carbon finish on back and sides. Erisa discovered Emerald’s X30 after researching carbon fiber guitars. She was really set on having a guitar that could withstand New York and its drastic weather changes throughout the year. She especially wanted a guitar that could handle the high humidity during the summer months in New York. Erisa plays solo guitar during the summer months at a local ice cream shop, so she didn’t want to worry that her guitar would get damaged in the sun during her gigs. She also has a music house outside where she practices her music and performs for the neighborhood. Erisa goes everywhere with her new guitar. She is a real crowd pleaser. People are shocked when they see her new instrument and they are blown away by its ability to produce so much sound even when it’s not plugged in. Erisa’s Emerald X30 fits her so well and she finds it so easy to play. She can play for hours and finds it extremely comfortable against her body. 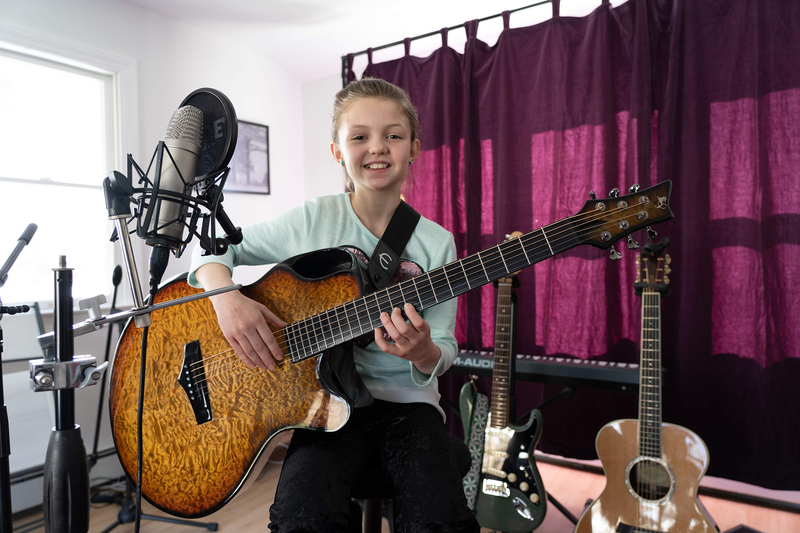 Erisa is very excited that she will be performing next season on a well-known children’s show called Wonderama with her new X30 Emerald guitar. Erisa truly is a miracle. She was born in London, England, but wasn’t meant to survive after birth. Without a doubt, she feels blessed that god gave her this gift of music. It brings her so much joy. Erisa is in the midst of producing some original songs. For now, she likes to try and master cover songs from some of her favorite artists like Bob Dylan. Stay tuned for more about Erisa in upcoming posts as she continues her musical journey! 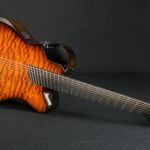 To learn more about Emerald’s X30 model as well as browse the collection of X30’s currently in stock and ready for immediate shipping, visit www.EmeraldGuitars.com/product/x30-artisan/.